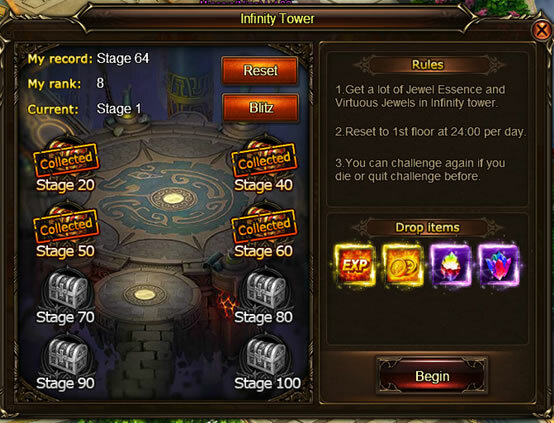 1.You can get a lot of Jewel Essence and Virtuous Jewels in Infinity Tower. 2.Reset to 1st floor at 24:00 per day. 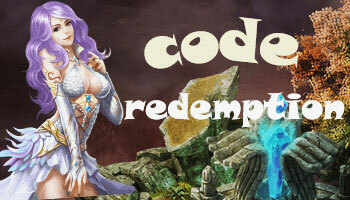 3.You can also spend 1 Crystal Key to reset the stage, only 1 time per day. 4.You can challenge again if you die or quit challenge. 5.Drop items: EXP, Gold, Jewel Essence and Virtuous Jewels.